life. Including many years at Adelaide Royal. at Mount Gambier as a pony trotter with 9 yo driving him. The South Australian Harness Racing Pony Association is situated at the SA Harness Racing Club, Globe Derby Park and has been providing pony harness racing for children between the ages of 6 years to 16 years of age since 1985. After reaching 16 years of age many young drivers have continued their association with harness racing by gaining a stable-hand, driver or trainers licence. Just to list a few of the drivers who have come through the pony ranks, Matthew and David Harding, Wayne and Danielle Hill, Greg and Kylie Sugars, Justin Brewin, Michael Smith, Mark Billinger, Ryan Hryhorec and more recently Kenny Rogers, Jake Webster, Matt Maguire, Aaron Bain and Brett Lowe. The racing season begins on the first Saturday night in November and concludes in March/April. SAHRPA race on Saturday nights at Globe Derby Park with generally 4 pony races a night held between normal harness racing events. We do many exhibition races during the season promoting our club, visiting Kapunda, Port Pirie, Victor Harbor and every couple of years we are invited to the Royal Adelaide Show. The Pony Association is always looking for new Sponsorship to help build the future participants of South Australian Harness Racing. For more information see the Sponsors page. 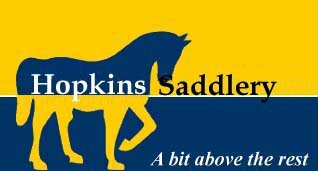 South Australian Harness Racing Pony Association assume no responsibility for the truth and accuracy of the information published on this website.